Last week, I spent 3 days in Helsinki at Slush. It’s the second time I’ve been there – last visit was three years ago. Nokia was the primary employer in Finland for engineers and tech talent, a safe, solid bet. Most Finns in tech were at Nokia 20 years, or that’s the only company they’ve worked with, etc. Working for Nokia was the brass ring. With the company’s decline and the layoffs that ensued, smart techies had to find something else to do. And they did. Stand-out companies like Supercell have sprung up in the last few years; Rovio is a global brand now – and success is breeding success. The halo effect of these two companies alone means skills and know-how are being shared and transferred to new startups – whether that’s through mentoring, angel investment or collaboration. It’s a painful time in Finland right now economically, but I think a little bit of short term pain will mean amazing things for the country. Not having Nokia is probably one of the best things that could have happened to the country and the start-up scene in Europe. A serious tip of the hat to the entrepreneurs I met there building amazing companies. The European start-up scene. It’s finally working. Europe has always had problems gaining start-up momentum – there’s no epicenter, there’s no critical mass- and there are no Heros. 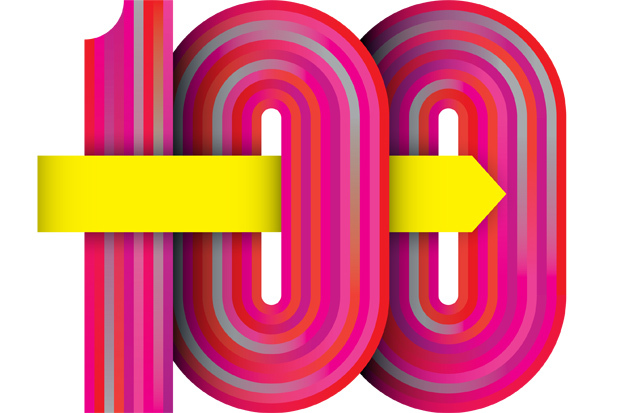 The Wired 100 list has gone a long way towards making 100 heroes visibile. Big applause for the Wired team. This year’s Wired 100 is on stands now – one person I was happy to see on the “bubbling list” – John Taysom. He’s an awesome guy. I’ve got a few other personal favorites that aren’t on the list yet, but I’ll cheer for them in silence… oh, and obviously congrats to everyone that’s on the list. Europe *has* a start up scene now – and fortunately for me – most of it revolves around London. Spotify, Mind Candy (Moshi Monsters), Soundcloud – all amazing companies are doing well on a global stage. Young startups like Groupspaces or Lightbox (go David, go Thai) are popping up and getting funding from tier 1 investors. I could count on one hand the number of hot European startups two years ago. I can count them on two hands now. I might even have to throw in a toe or two as well. Don’t raise external money- bootstrap. Don’t hire A-team players (don’t hire anybody for that matter). Don’t go to a hub – work from home. Don’t do any of those things. It’s OK. Worry only about launching, making the best product you can with limited resources and get profitable as quickly as you can. This is really the equivalent of a base hit vs a homerun. And for many businesses, and people, it makes sense. Maybe you have a day job that you *want* to keep (or need to keep), no problem. Run something in your spare time. If it starts to grow nicely, you can always leave your day job to run the business. Or not. By keeping things small, you maintain control and flexibility. But small now doesn’t mean small forever; but it does mean you can take your time. Just be sure to get your product or service out the door as quickly as you can. A quick story (no names for this one) to illustrate my point: A model airplane fan in one European country decided to start importing planes from China and selling them on eBay locally. He started small- buying only 10 planes or so and then reselling them. Once they were sold, he bought more- 100, then 500, then 1000, and so on. The business is now turning over 7 figures a year, with a very healthy profit. He runs the business with his wife out of their home outside of the Capital. The company will never make the front page of the Wall Street Journal, but it’s a *great* little business. I recently launched 700x23c.com. It’s a small site that sells bicycle tires. Was I looking to start a big business, with big money and a big team? Nope. It’s small, it’s me, a few tires, some boxes and a printer. Total cost to launch- maybe $200 (I bought a good printer). Will it grow? I hope so… Do I do love it? Absolutely. Am I wearing 700x23c cycling jerseys on all my rides? You’d better believe it. (Side note to the non-cycling geek: 700x23c is the size of a road racing tire. If you ride a road bike, you know this number. You might even know what the “c” means). It’s a small project that with a little tlc may just become like the airplane business above, and turn a nice profit. So I practice what I preach to some extent; I think small. (but try to think Big during my day job). Profitability = Independence. Raising money is a pain- no matter who you are. It’s time consuming, and it’s a distraction. The sooner you can get to profitability the better. Yes, there’s the Twitter model of Build it and They will Come- worrying about revenues and profits later, but personally, I don’t think that’s what you want to do or how you want to think. Profitability should be a *choice* you can choose not to be profitable- by scaling faster – but fundamentally you should be able to cut (or curtail) headcount and be a profitable business very early in the game- this is ultra important because you never know when the economy is going to take a dip and venture funding is going to dry up. From the minute you take funding, the clock is ticking. And you’d better be running for the profitability line. Ask any entrepreneur how much better they sleep at night knowing their company is at break even, or profitable. They’ve made it… sure, there’s still work to do to scale further, but they know they made it to first base. They’ve got a chance- and they don’t need anyone’s help (on the financing front) unless they decide they want it. Once you’ve launched your product, you’d better be ready to change it. Listen to your customer (or users), they will tell you what they need. Make changes accordingly. You have one goal in mind: to build the Greatest Product you can. It’s all about building a great product – that’s one that I’ve borrowed straight from Rolof Botha. Examples of kind of crappy first products are plentiful: iPhone first gen (vs the 4G that launched last summer). Apple listened to its customers, and refined the product. They did exactly the same with the iPod (which was more like the iWhat? back when it launched). Spotify is a great example of a company that has taken Europe by storm because it’s a Great Product (mobile product is not great though. which is too bad…keep working on it guys). Keeping things as simple as you can, then adding features is a great way to be successful- again, back to Twitter as an example. It’s a simple service that has evolved over the past 3 years- Twitter has iterated and innovated (they’ve come up with completely new ways of handing all that data). They obviously didn’t worry about that when they launched – hello Blue Whale of Death- but they figured it out (mostly). Copy these great companies, ship your product, then iterate and innovate quickly and continuously.